Fresh Legs Classic Argyle socks with a Chevron twist! Between races and work, I travel a LOT, and my lower legs and feet tend to swell when flying, so I thought I would try wearing my new Zensah compression socks for my flight today, and wow! 3 hours on a plane and no swelling at all! 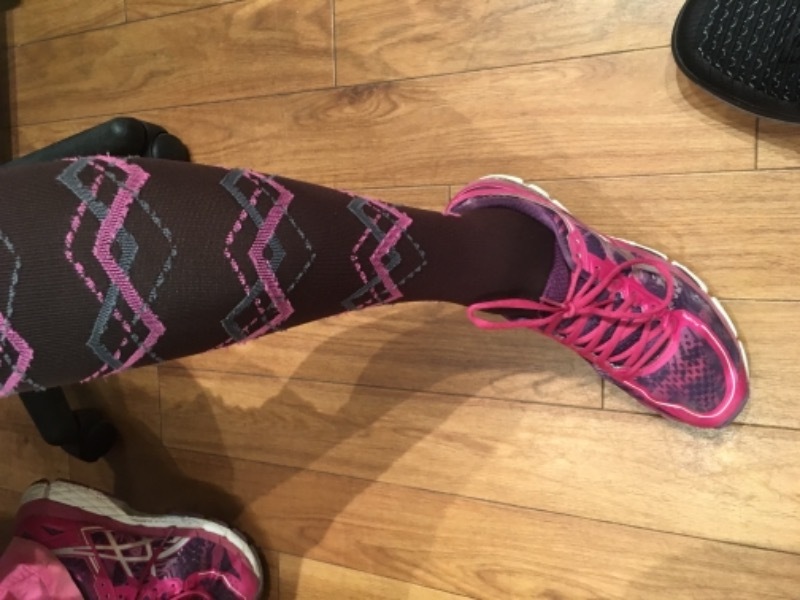 They're comfortable (unlike other compression socks I have tried), they're fashionable (I have the dark blue), and they work! I need at least 2 more pairs! She has been using them for months and has had no issues at all. Even though they are not higher compression, they definitely get the job done and can endure plenty of washes. I would recommend them to anyone. If you workout in the morning and then head off to the office, these are a great addition to your wardrobe! I used to wear compression sleeves under my dress socks and work pants, which got real hot real fast. But now I can wear the argyle design and they blend in at the office and are more comfortable. I'm on my feet a lot for work and whenever I wear these I have more energy at the end of the day. I highly recommend these for any weekend warrior! Another purchase of Zensah products. 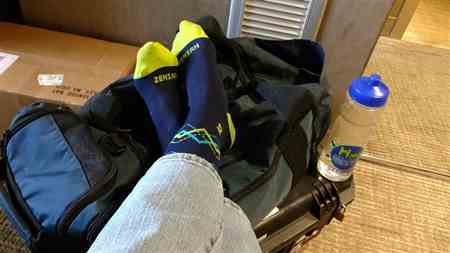 These socks look great with work clothes and feel fantastic.